At the playground, Lulu asks her friend Sam if he wants to play with her. Sam likes Diggers, while Lulu thinks Monkeys is the best game. Sam suggests playing under the castle, but Lulu knows that the top is the most fun. They just can't agree! And then Lulu asks, "Have you ever played Ladybug Girl?" 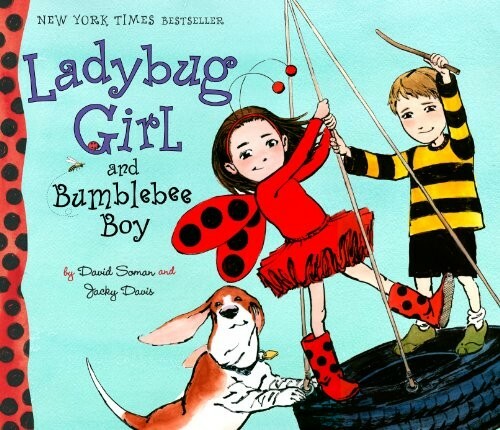 As Ladybug Girl and Bumblebee Boy, Lulu and Sam save the playground from hairy monsters and big mean robots, and have their very own parade on the bouncy dinosaurs. They figure out that when they work together, they can create fun games that they both like to play. 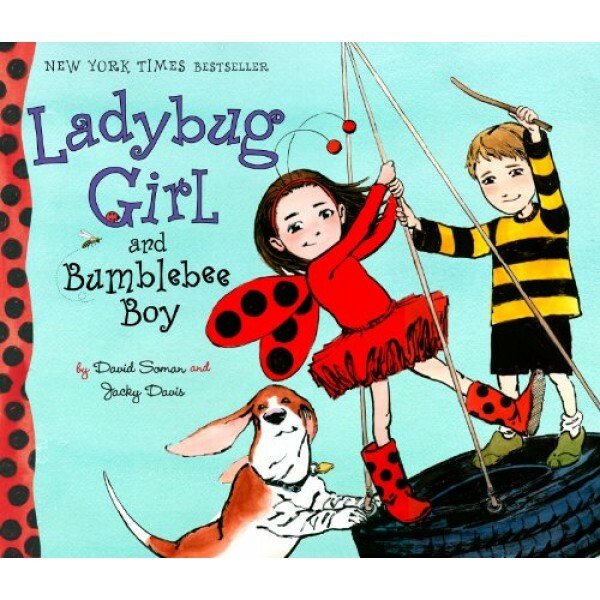 To learn about the Ladybug Girl book series, visit our Ladybug Girl Collection. For more girl-empowering picture books, visit A Mighty Girl's extensive Picture Book collection.